A simple thing. The headrests needed a thorough cleaning and reconditioning. They responded amazingly well. 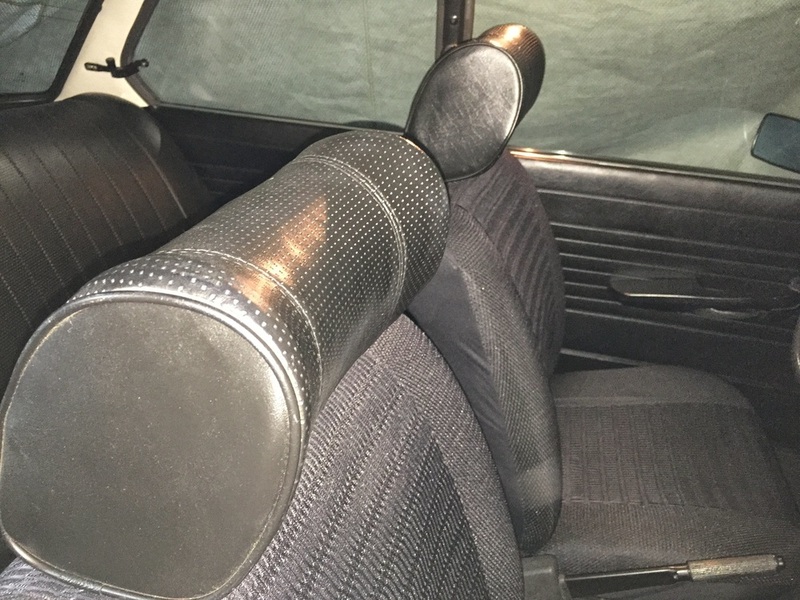 The hardest part was deciding to pierce the seat cover to reinsert the headrest posts. With a little elbow grease, they are back inn place, and the car's interior somehow now looks right.